Albany Services today announced the launch of its employee discount program through Working Advantage. 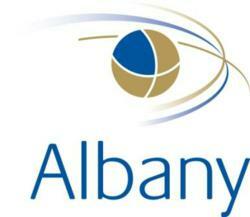 Albany employees and consultants will now have access to the Albany-Working Advantage member’s only program. The program provides access to exclusive discounts at premium shopping websites and a host of other options including retail gift cards, hotels and restaurants, and tickets for movies, theatre shows, theme parks, museums and other attractions nationwide. Albany, recently recognized by Staffing Industry Analysts as one of the top five contractor payrolling and compliance firms, provides an outsourced solution for companies to engage and pay pre-identified contract workers. This talent pool typically includes skilled alumni, retirees, project-based and other types of workers sourced through internal channels and referrals. “Albany workers can already take advantage of our corporate style benefits package, and the addition of this employee discount portal helps ensure they have access to a program better than those offered by many Fortune 500 firms” said Jason Posel, Senior Vice President of Strategy and Solutions for Albany. Purchases made through the portal earn members advantage points through the Advantage Points Loyalty Program. These points never expire and can be redeemed for reward movie tickets or gift cards. The program will include monthly raffles and promotions with members able to subscribe to various newsletter emails by category and region that interests them. Albany is a leading HRO with a focus on the contingent labor market. With 17 years of experience our contractor management and payroll programs include: Employer of Record (Albany hires your internally sourced contractors as our own W-2 employees); Agent of Record services (billing and payment consolidation for Independent Contractors, 1099's and sub-vendors); and Independent Contractor Compliance solutions. Working Advantage is the premier savings portal for more than 8,000 companies and organizations and their ten million employees and members nationwide. Founded in 1995 as Corporate Movie Club and originally offering a focused program of movie theatre and movie rental discounts, they rebranded in 2001 as Working Advantage to better reflect an expanded variety of entertainment and shopping discounts.